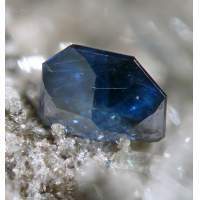 Minerals are a dynamic component of the soil system, interacting with biological and abiological systems and processes at the interface between the geosphere and the biosphere. They supply the majority of the key nutrients required for life, and through weathering reactions they influence atmospheric chemistry. They act as sinks for contaminants, ranging from metals to carbon dioxide. This chapter provides an overview of key mineral reactions within soils, and shows how these influence the mineralogical composition of soils in different environments. It emphasizes the importance of thermodynamic and kinetic factors as controls on soil mineralogy, and explores how these influence the supply of nutrients to plants. The role of soils as a sink for atmospheric CO2 is discussed in the context of the formation of pedogenic carbonate minerals.